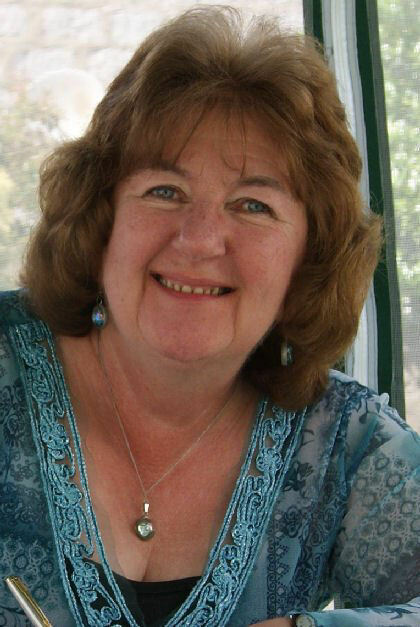 Today in the Library we have Nancy Jardine, who has dropped in to say hello and to share some insights into her life as an author. Hello! I’m Nancy Jardine. I live in Aberdeenshire, Scotland, a fabulous place for anyone who adores history as much as I do. My week vanishes in a blur of reading, writing, marketing, blogging, news and politics. I’m a fair weather gardener and like thousands of retired people across the UK, I officially (unpaid for government statistics) look after my grandchildren about two and a half days a week. Since they stay next door to me, the rest of the week can be ad hoc minding or just happy interruptions from the 3 and 5 year olds. Any time left during the week is for general living, breathing and sleeping. Many Saturdays, and some Sundays, from April to December I can be found at Craft Fair venues around Aberdeenshire. I sell paperback versions of my novels at these events and get bookings for doing local author talks to various types of groups. I’m a member of the Romantic Novelists Association, the Scottish Association of Writers and the Federation of Writers Scotland. I was a copious reader from the moment I could read at five years old. I devoured everything I could lay my hands on and particularly loved Enid Blyton, the Chalet School Series and my weekly comics like the Bunty, Judy, Beano and Dandy. I’m still an avid reader and need my fix of fiction every day. During my career as a primary school teacher, I tended towards historical fiction and easy-read romantic fiction, mainly due to being brain dead by 9 p.m. However, since being published by Crooked Cat Books in 201,2 who publish across many different genres, my reading is much more eclectic. I’m both. I’ve six novels published by small independent publisher Crooked Cat Books. 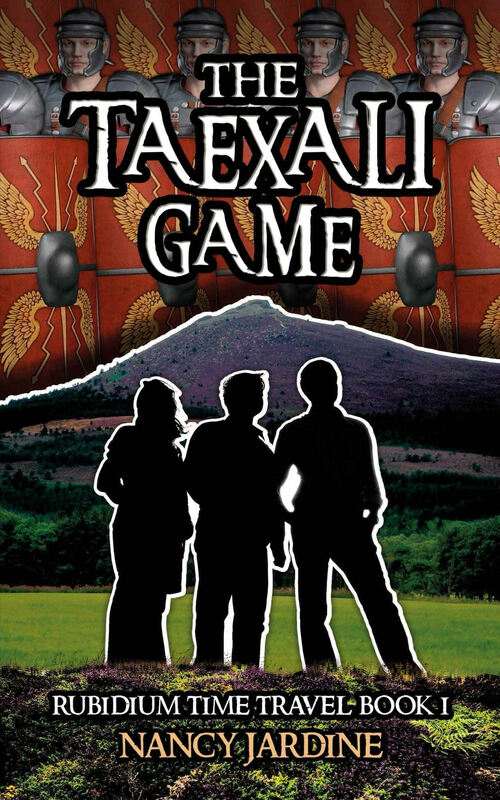 In 2016, The Taexali Game was self published. This is a time travel historical adventure for age 10 and above. The whole process of getting my self-published novel onto Amazon Kindle, and Createspace for the paperback version, made me realise how excellent Crooked Cat Books are at organising the editing and formatting of the work they publish. The formatting process for The Taexali Game took me a month, given my other domestic commitments, but it was eminently worth it since The Taexali Game was placed second in Barbara Hammond Award for Best Self Published Book (March 2017). I write across different genres. 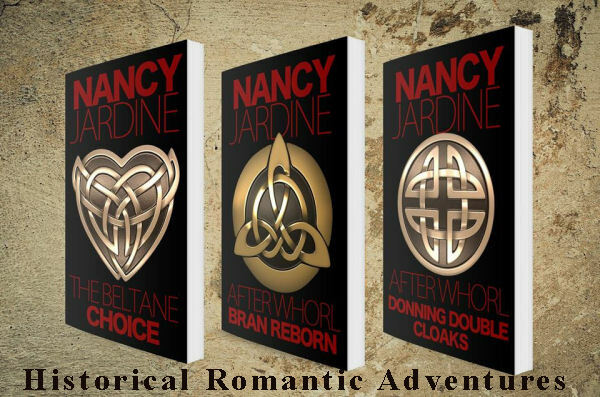 The three novels in my Celtic Fervour Series are historical romantic adventures set in first century Roman Britain. This is essentially a pre-historic era and for the greatest accuracy in my writing, I have to delve deeply into the archaeological record. 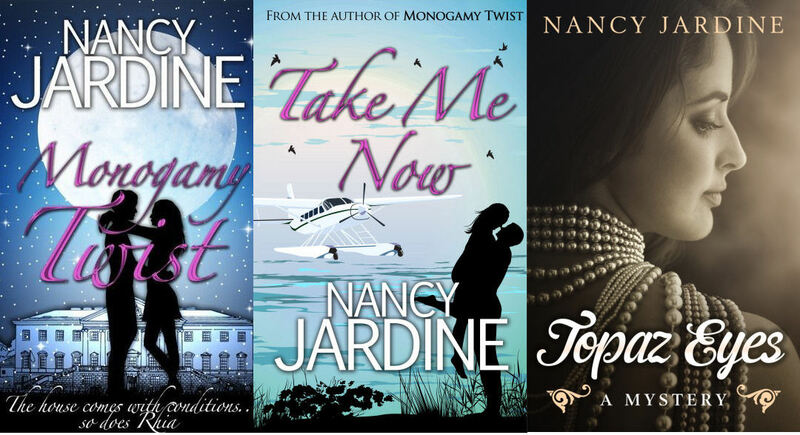 I also have three stand-alone contemporary romantic mysteries published. The contemporary work was intended to give me a break from heavy historical research. I cheated, though, because two out of three of the mysteries have strong ancestral themes binding the plot. My love of history sneaked its way in! I’ve mixed the genres even more in my Rubidium Time Travel Series for early teens because my contemporary kids time travel back to third century Roman Scotland in Book 1. I’m not consciously aware of any one particular overriding influence. During most of my teaching career I was only interested in writing for teaching purposes and never aspired to be a fiction writer. However, in 1999 and later in 2005, I was nominated by teacher friends to voluntarily write two non-fiction historical books (arm twisted behind back). The first was a teaching pack for Aberdeenshire Primary schools; and the second was a complete History of Kintore School, Aberdeenshire, dating from c. 1500 to 2005. I thoroughly enjoyed the research and the whole writing processes. This made me believe I could write fiction and get it published – though it only happened after I stopped teaching in 2011. Definitely. Whenever appropriate I’ve included some aspect of Scotland in many of my novels. Books 2 & 3 of my Celtic Fervour Series of historical adventures are set in Roman ‘Scotland’ in the first century AD. The Taexali Game is set in AD 210 when the Ancient Roman Emperor Severus descended on the Taexali tribes of ‘Aberdeenshire’. In Take Me Now, a humorous contemporary mystery, my hero Nairn Malcolm is at the outset a ‘slightly battered’ highland laird. The settings are his island castle near Oban on the west coast of Scotland and various other world-wide cities, including his London work base. The Scottish connection in Topaz Eyes, a contemporary mystery which was a Finalist in The People’s Book Prize 2014, is my heroine Keira Drummond from Edinburgh. Some of the action takes place in her home city; the rest is set in fabulous world-wide locations. I started off as essentially a ‘pantser’ who initially created a very short outline plan and then plotted more as the story developed. That worked for my first couple of manuscripts but as my stories became more complex I found I had to make much more extensive initial plots. My time lines are laid earlier in the creative process now and my planning folders get thicker for each new story. Creating the ‘middle section’ can be a slow process. However, since I’m presently becalmed in the doldrums, I guess I’ve not yet overcome my current problem which is finding enough time to write continuously! Being disciplined about setting aside time for new writing has been a problem during the last few years, my grandkid minding duties a continuous interruption. I’m pragmatic enough to know that I wrote a lot more before they were born, and I’m sure I’ll have more writing time after both enter official schooling. It’s a matter of patience since I’m not willing to miss being part of their growing up. Not really. Sometimes I find I work better in the late evening but not when it’s been a hectic day! When I’m really tuned in any time of day can be productive. The best is probably the feeling that I’ve accomplished something worth doing when I look at the little row of paperback copies of my own novels on my bookshelf. It’s also a huge buzz when I have a return customer for my novels at one of my Craft Fair venues. That face to face endorsement of my work is as uplifting as a 5 Star review on Amazon. The worst part of being an author is common to most (I believe) and that’s the time sucking and often repetitive marketing aspects. I’m on Facebook far too much so I must enjoy it! I’ve never got the hang of using Twitter properly so that tends to be more of a chore. I love putting images on to Pinterest but that’s often another massive time waste if I digress. I really enjoy blogging: writing for my own blog, and for others as a guest author or interviewee. A Great question! I’d read a lot more novels and I’d be a much more successful gardener. Money permitting I’d maybe travel more, though I’ve been fortunate to do a lot of travelling over the last five decades. When my daughters were young I did a lot of embroidery and wool tapestries so I’d maybe go back to that. I’d definitely have to find something engrossing since I rarely watch TV except for news and watching historical series. The Lord of the Rings trilogy (one volume) or a Complete Shakespeare with his poetry included. I’ve been working on three different projects since mid 2015: Book 4 of my Celtic Fervour Series; Book 2 of my Rubidium Time Travel Series; and the first book of a family saga which begins in Victorian Scotland. By the end of this year I’m determined to have something completed! Thank you for inviting me today, it was a pleasure being here. Hello Pam, it’s been a treat to visit your library today. If anyone needs any more information, I’ll be around and will pop back later. Have a lovely weekend! It was a pleasure to host you today Nancy.